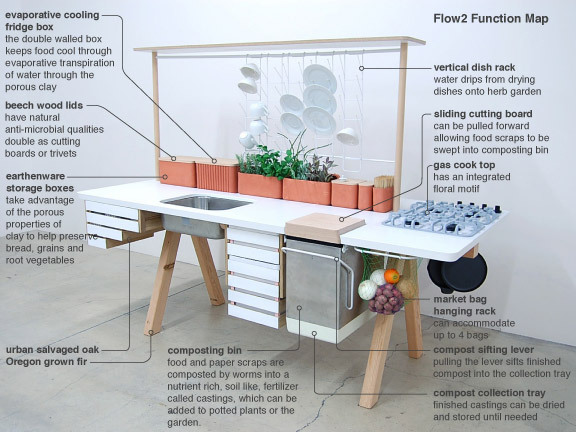 What I love about this concept more than anything else is how it approaches kitchen design from a systems perspective… it mimics water and waste flows found in the natural world…One can store food without using energy, grow food and water it with waste from another process in the system, use the space to prepare and cook food, then create an opportunity for enhanced biodegration of compostables which can be used as fertilizer for the plants… This takes the idea that you can ‘live in the kitchen’ to a whole new level! The only things missing here are a compostable toilet and a deck of cards! 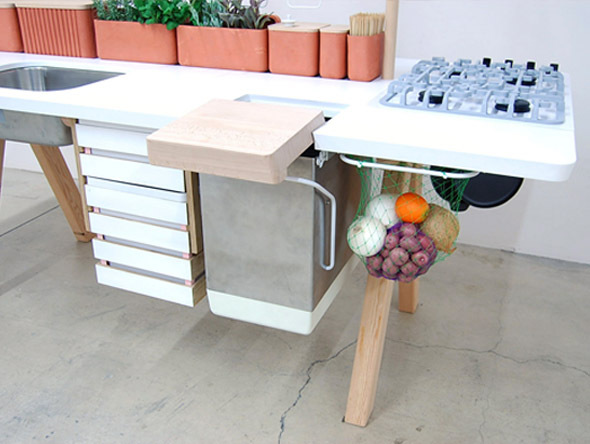 And here’s another look at the food storage bins, which are made of unglazed earthenware with beech wood lids… water is poured in between two layers of the ceramic box, which slowly evaporates through the outer wall, creating a cooling effect on the inside… perfect for fruit, eggs, and veggies… yum! 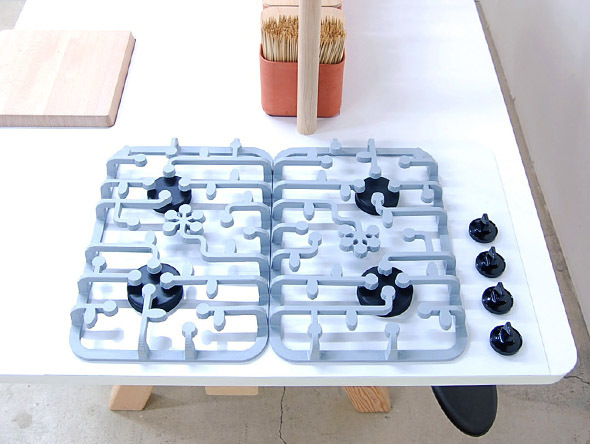 No aspect of this concept was left without consideration… take the gas cooktop as an example, which was carved into a beautiful flower motif to further enhance the relationship between us and our food… I dig! So yeah, a pretty engaging example of how natural systems can be better incorporated into our daily lives. This specific design certainly needs refining before making its way into our households… You know things like the sink being connected to the wall and faucets would be nice, but you can’t have it all, eh? 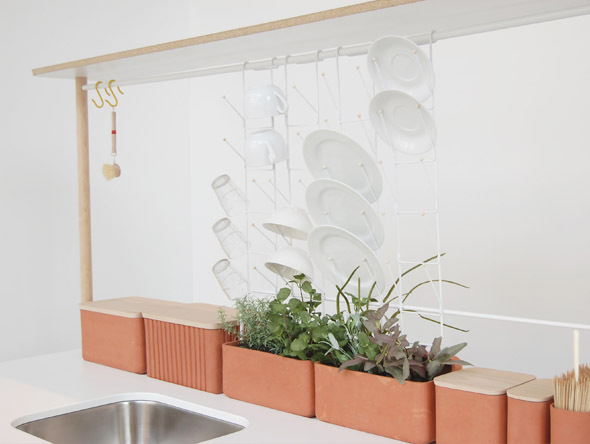 Regardless, things like vermicomposters, natural refrigerators and the dish drying rack/herb plant combo are all low tech solutions that could easily be introduced into kitchens throughout the world… Ok, enough writing for me… I’m hungry, gonna go make myself a nice veggie sandwich!